…I appreciated the way that rabbits are used as anthropomorphic representations, perhaps softening this jarring subject matter. The gouache and pencil drawings are child-like and effectively portray the wide-range of emotions that Elliot feels throughout the course of the hectic back-and-forth of his journey from birth family to foster family and back and forth again until he is placed in his ‘forever home’. I think this is a powerful book about a difficult subject that is an important read-aloud to those kids who are going through similar circumstances as well as any child who knows someone who is being fostered. “ …[P]icture books carry heavy burdens, far above and beyond their usual literacy needs. People use picture books for all sorts of reasons. There are picture books for high school graduates, for people to read aloud during wedding ceremonies, for funerals, and as wry adult jokes. 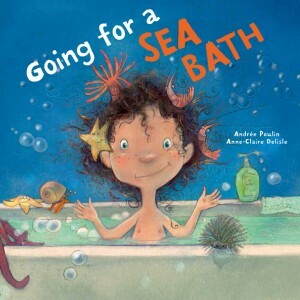 On the children’s side, picture books can help parents and children navigate difficult subjects and topics. From potty training to racism, complicated historical moments and new ways of seeing the world, the picture book has proved to be an infinitely flexible object. The one purpose that is too little discussed but is its most complicated and complex use is when it needs to explain the inexplicable….Julie Pearson’s book Elliot takes on that burden…It works in some ways, and it doesn’t work in others, but when it comes to the attempt itself it is, quite possibly, heroic…. Pearson is attempting to make this accessible for young readers, so that means downplaying some of the story’s harsher aspects…. 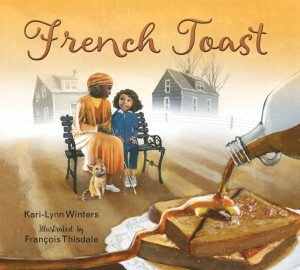 Artist Manon Gauthier is the illustrator behind this book and here she employs a very young, accessible style. Bunnies are, for whatever reason, the perfect animal stand-in for human problems and relationships, and so this serious subject matter is made younger on sight…. 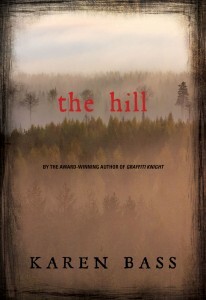 Could this book irreparably harm a child if they encountered it unawares? Short Answer: No. Long Answer: Not even slightly. But could they be disturbed by it? Sure could….I’ll confess something to you, though. As I put this book out for review, my 4-year-old daughter spotted it. And, since it’s a picture book, she asked if I could read it to her….I decided to explain beforehand as much as I could about children with developmental disabilities and the foster care system. In some ways this talk boiled down to me explaining to her that some parents are unfit parents, a concept that until this time had been mercifully unfamiliar to her. After we read the book, her only real question was why Elliot had to go through so many foster care families, so we got to talk about that for a while. It was a pretty valuable conversation and not one I would have had with her without the prompting of the book itself. So outside of children that have an immediate need of this title, there is a value to the contents. …Books like Elliot are exceedingly rare sometimes….Elliot confronts issues few other titles would dare, and if it looks like one thing and ends up being another, that’s okay….It’s funny, strange, and sad but ultimately hopeful at its core. Social workers, teachers, and parents will find it one way or another, you may rest assured. For many libraries it will end up in the “Parenting” section. Not for everybody (what book is?) but a godsend to a certain few. This is a book that tries to explain the foster care system to young children. 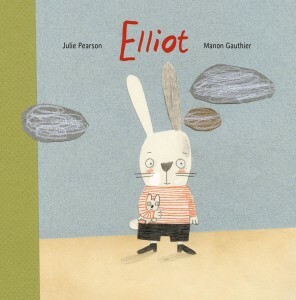 We are introduced to a little rabbit named Elliot and told ‘His mother and father loved him very much.’ But unfortunately, they do not know what to do when Elliot cries or yells or misbehaves….Thomas tells Elliot he will find him a ‘forever, forever family.’ Elliot takes time to adjust but ‘In time, Elliot grew attached to his new family. When he cried or yelled or misbehaved, his new parents would hold him in their arms and tell him they loved him forever, forever.’ His birth parents still visit him, but one day Elliot is officially adopted and ‘…would never have to change families again.’ The collage illustrations in muted tones reflect the gentleness of the story. This is a lovely book to share with a child trying to cope with the intricacies of being a foster child. The book stresses that Elliot is always loved and that everyone wants to do what is best for him. This is a must-have for public libraries. Elizabeth Bird, a librarian at New York Public Library, writer for the School Library Journal and influential voice in children’s literature, posted her list of “Some of the Best Picture Books of 2016 Thus Far (Mid-Year Summary)” earlier this week. Of the 81 titles listed, we are thrilled to have two of our titles included. 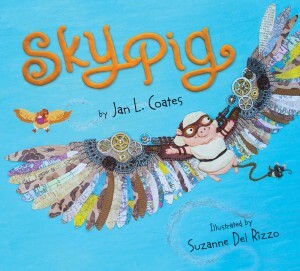 Elliot by Julie Pearson, one of our Spring titles, and Sky Pig by Jan L. Coates both received nods. Of Elliot, she writes, “used in the right context, this book does something that no other book does.” She also took the time to write a very thoughtful review of Elliot, which can be found here. Click here to see the rest of Elizabeth Bird’s wonderful picks. 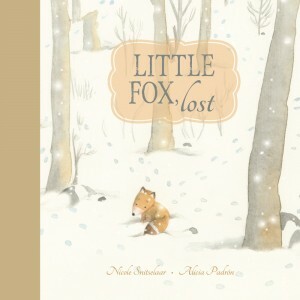 Speaking of lists, our forthcoming winter title, Little Fox, Lost, appeared in Travis Jonker‘s “2016 is Foxy” roundup, where we’re pleased to find it in good company. All three of these books, and the rest of our titles, can be purchased or pre-ordered at an independent bookstore near you.